Stop driving yourself crazy – you cannot always finish all the items on your To-Do List… and that’s ok! For many the problem with Time Management is not the fact that they are not driven to accomplish, but their twisted desire to have a perfect record. This way of being leads to stress and needless agony. Say you have 10 items on today’s to-do list and you must accomplish all of them, and you know that they will take you 6 hours to do them all – guess what: because you are busy the universe is going to reward you with leads and new business, and you must chase those leads and new business – will that cause you to drop 1 or 2 items from your to-do list? Yes, but that’s ok! Call the recipients of the work you needed to do and apologize and reschedule when you can get them the info you said you will give them. 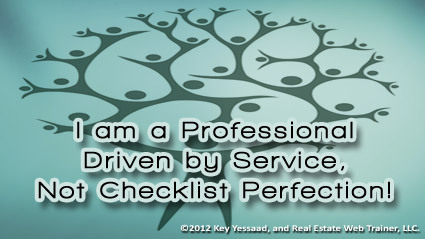 So yes you will drop some items and not get them done, but it is the way you connect with others responsibly that is going to be the mark of your true professionalism.